A girlfriend can be your best friend from high school, a colleague and even a member of your family like a sister or a mom! As a child, my mom was very close to my grandmother. Despite being mother and daughter, they did things together like girlfriends. Every Saturday, they would go out shopping and then have a quick lunch together. Sometimes they would even take me! One of there favorite places was Wendy’s. 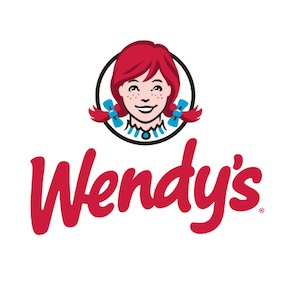 My mom and grandmother are both health conscious; so back in the 80’s and 90’s Wendy’s was one of the only quick service restaurants that you could choose healthy options at. Can you believe Wendy’s was the first to bring the self-serve salad bar over 30 years ago? 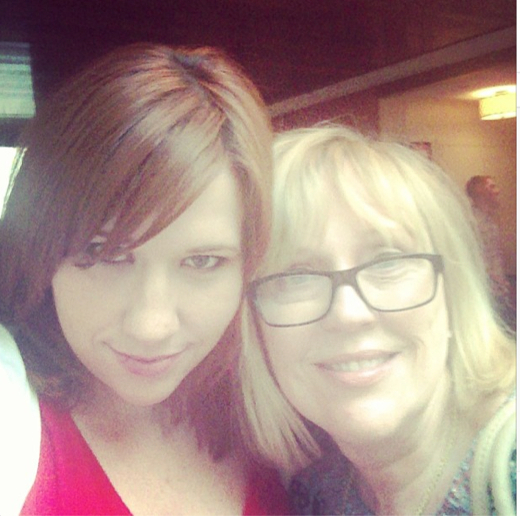 Like my mom, one of my closest girlfriends, is my own mom! We get together once a week to catch up on gossip and what we’re doing in our daily lives. This week I decided to invite my mom to lunch after hearing that Wendy’s has tapped into popular culinary trends with three new salads, the Asian Cashew Chicken, BBQ Ranch Chicken and Taco Supremo Salads that come with freshened up dressings. I love that Wendy’s is proving that salad innovation is never out of style. All the new salads, which are prepared in the restaurant everyday, are bold in flavour and vibrant in colour. Each salad includes premium ingredients like cashews and edamame that you wouldn’t expect to find in salad’s at quick service restaurants too. Wendy‘s new salads provide 100% premium all white chicken breast meat that is freshly grilled on site. The meat doesn’t sit on the salad all day either because the chicken and chili are only placed on the salad when the customer orders it. They also slice their tomatoes, cucumbers, and red peppers by hand in the restaurant. I have always loved the Wendy‘s Taco salad, so I was excited to try the new Taco Supremo, a tribute to the freshness and world famous flavour profile of Mexican cuisine. 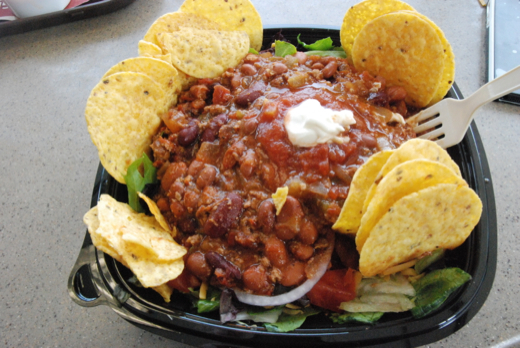 The Taco Supremo comes with fresh and tasty ingredients like diced tomatoes, tangy salsa, rich meaty chili, shredded cheddar cheese, crunchy taco chips, and sour cream served on a crisp bed of fresh lettuce. I enjoyed every bite of the Taco Supremo and it was even better than the old one. Better yet, I was surprised to learn that the Taco Supremo and the two other new salads are also 50% lower in fat grams, 29% lower in sodium, and 61% lower in saturated fat. How great is it to have a girl lunch without loading up on the calories? I love that you can also order half portions, so you don’t feel tempted to eat too much if watching your weight. My mom who’s watching her weight opted for the BBQ Ranch Chicken, which is basically a savoury backyard BBQ in a bowl. In the BBQ Ranch Chicken Salad, Wendy‘s uses premium ingredients that you see around a home grill – roasted corn, freshly diced tomatoes, shredded sharp cheddar cheese, applewood smoked bacon, and a honey BBQ sauce. My mom especially loved that the salad was served with a BBQ Ranch dressing which consists of real buttermilk, parmesan cheese, ancho chili peppers, honey and brown sugar. She claimed that the dressing complemented the salad perfectly and created a burst of flavour with each bite. While having lunch we caught up about what’s news in our lives and some funny ‘girlfriend’ stuff. We often talk about silly things. Like, the latest trends that we think are odd! Our topic this week was running shoes/sneakers with heels. We both feel like it is the most mind-boggling trend. Some things just shouldn’t be combined. It makes me think of the era people wore heeled construction boots after Jennifer Lopez popularized them. I never got that trend either! Both being bloggers, we also discussed how silly the popularity of selfie’s have become. Despite having posted a selfie or two of myself via Instagram the trend has become completely silly! Seriously, we should start calling it the duck look because of the outrageous lips girls try to make! Wendy‘s understands girlfriends love to discuss silly and fun topics! That’s why the fast service restaurant has created a fresh new series entitled, Girlfriends at Wendy’s Eating Salad and Talking About Stuff. Each episode shares a funny thing girlfriend’s talk about when getting together. Are you in need of catching up with your girlfriend? 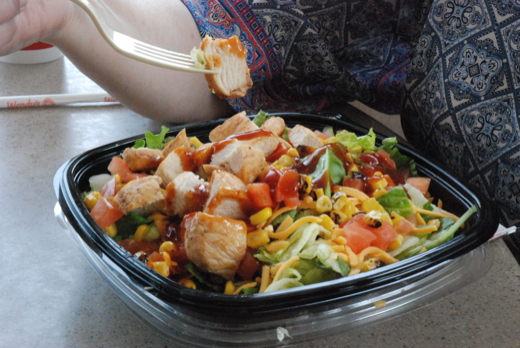 Visit a local Wendy’s while indulging in one of their new salads! Don’t forget to talk about some girl STUFF.